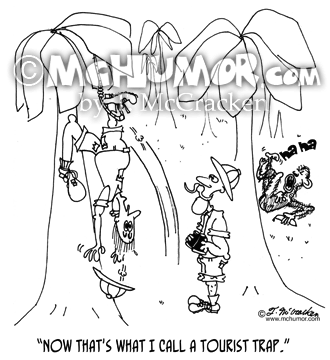 Safari Cartoon 4982: As an explorer is drug off by a crocodile another shouts, "May I have your frequent flier points?" 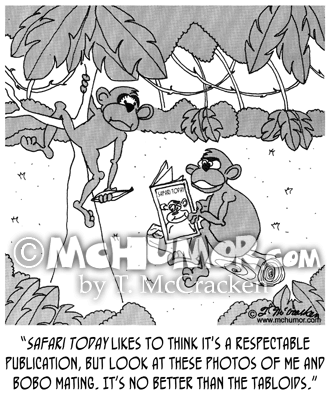 Safari Cartoon 4555: As an explorer is snagged in a trap set by a chimp another sans, "Now that's what I call a tourist trap." 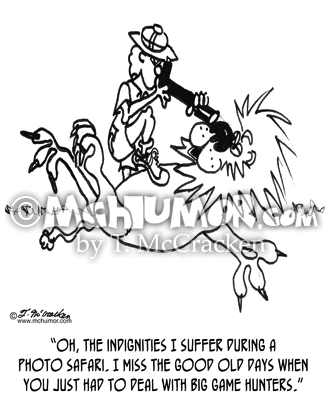 Lion Cartoon 2436: As a photographer leans on a lion while taking it's picture the lion moans, "Oh, the indignities I suffer during a photo safari. 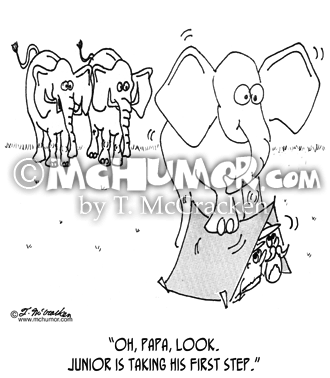 I miss the good old days when you just had to deal with big game hunters." 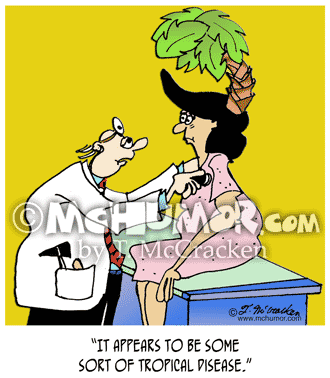 Disease Cartoon 5352: A doctor says to a woman with a palm tree growing out of her head, "It appears to be some sort of tropical disease." 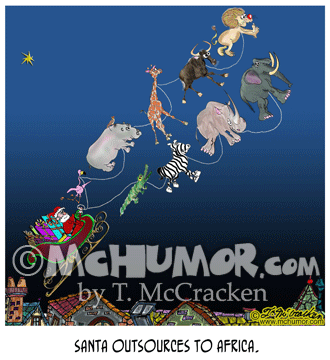 Christmas Cartoon 8577 : “Santa outsources to Africa.” A lion, wildebeest, giraffe, hippo, elephant, rhino, zebra, crocodile & a flamingo pull a sled. 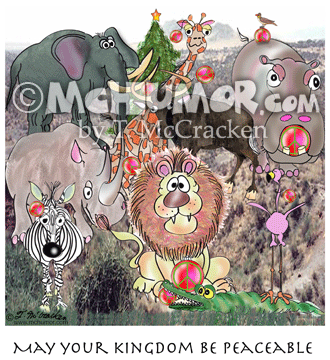 Africa Cartoon 8575: “May Your Kingdom Be Peaceable.” A lion, zebra, rhino, giraffe, crocodile, wildebeest, hippo and flamingo have ornaments with a peace symbol. 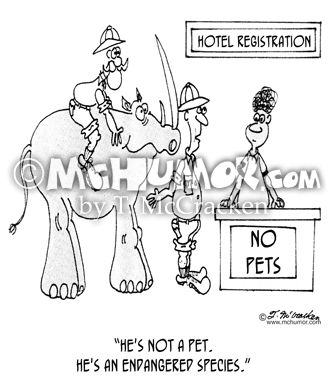 Rhino Cartoon 4128: At a hotel with a, "No Pet" sign an explorer riding a rhino checking in says, "He's not a pet. 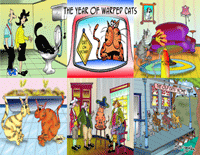 He's an endangered species." 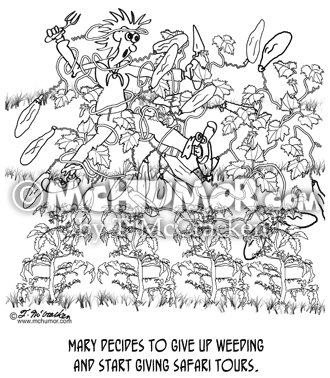 Garden Cartoon 8537: "Mary decides to give up weeding and start giving safari tours." 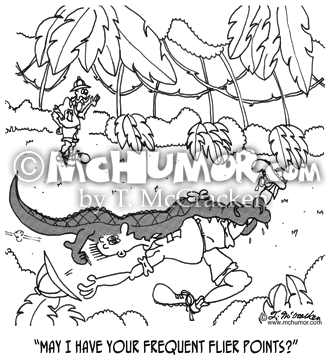 Weeds and plants attack a woman.